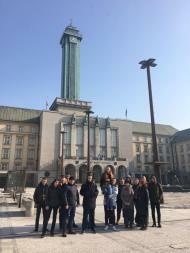 6 students and 1 teacher from Elektrenai Vocational Training Centre in Lithuania, representing computer equipment adjuster program visited Ostrava during the month October/November 2018 under the Erasmus+ project entitled Panorama of EU skills with a reference number 2018-1-LT01- KA102-046668 The aim of their stay was to improve professional skills and competences of vocational training students at workplaces, to educate their practical skills at real work situations, as well as to educate and improve specific vocational competences and self-reliance of vocational training students and motivate their European citizenship. We wish all the best to their future and hope to see them in Ostrava, again! 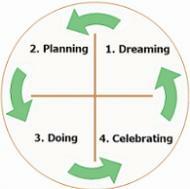 We are very excited to about a new project regarding entrepreneurship and inclusion in youth through the Dragon Dreaming Methodology. This strategic partnership has been created to achieve the objective of equipping youth workers and young participants with new knowledge and tools for them to start developing innovative and sustainable projects in a collaborative way; this will also promote entrepreneurship and social inclusion among local citizens. This a a great chance for an international partnership. 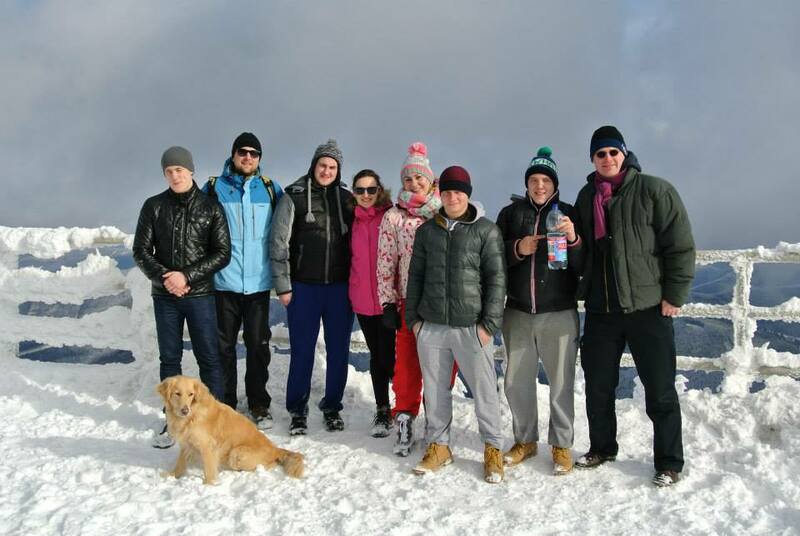 8 students and 1 teacher from Elektrenai Vocational Training Centre in Lithuania, representing computer equipment adjuster and organizer of sport club activities programs visited Ostrava during the month October/November 2017 under the Erasmus+ project entitled Palette of skills with a reference number 2017-1-LT01-KA102-034845. The aim of their stay was to improve practical skills and specific vocational competences, seeking for correspondence between students’ skills and requirements of today, as well as to educate and improve specific vocational competences and self-reliance of vocational training students and motivate their European citizenship. 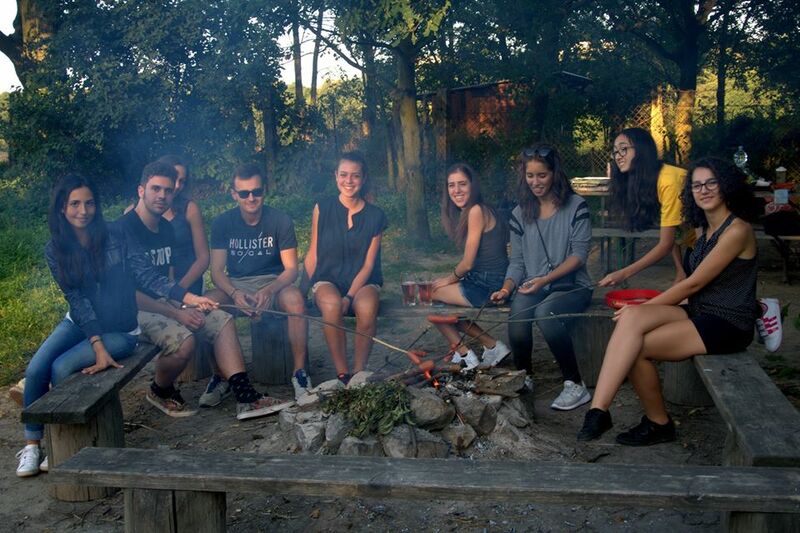 It is our pleasure to host such a nice, well-behaved, smart and easygoing group of students! We wish all the best to their future and hope to see them in Ostrava, again! The beginning of the year was nicely busy. We hadthe pleasure to host two groups from Vilnius vocational training school of railway and business services in Lithuania. 10 students of logistic spent their time in PPL, parcel delivery service. Worked in morning and agternoon shift. Students also had the possibility to visit the office of Czech Post where they were introduced all the process of delivering and logistic systems. The other group were devoted to work in the welding company caled HLIMONT. Students were given a training of Health and Safety instructions, were familiarized with working team, tools and environment, reconstructing in welding sector.,were mentored and monitored during all days of stay, they were working under the team supervisors, skilled professional. 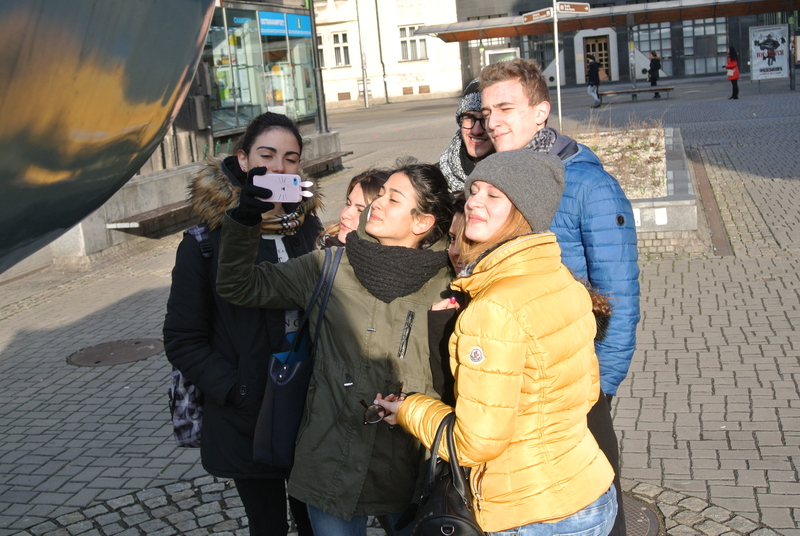 Students were also given a guided tour through Ostrava and thus have learned about the main sights of the city, its history and current developments and they gained some insights into Czech traditions, cuisine, and culture. Besides practical training, students visited Prague, Castle Hradec nad Moravicí, aquapark, and had the possibility to attend sport events, such as athletic trainings or volleyball trainings. One of the parts, essential for a good professional preparation that gives advantages and increases the competitiveness is the international working experience, gained during the period of studies. This is the reason why Internationalisation Strategy of Siauliai VET Centre stresses the development of the self- confidence of students as well as the entrepreneurship, practical professional skills, competences of the foreign language, increase of skills of intercultural as well as interpersonal communication during their practical placements abroad. The whole ALVIT team was very excited to host and arrange a fantastic not only working, but also cultural experience in Ostrava for 6 learners of carpentery, and decorating from Siauliai VET Centre. 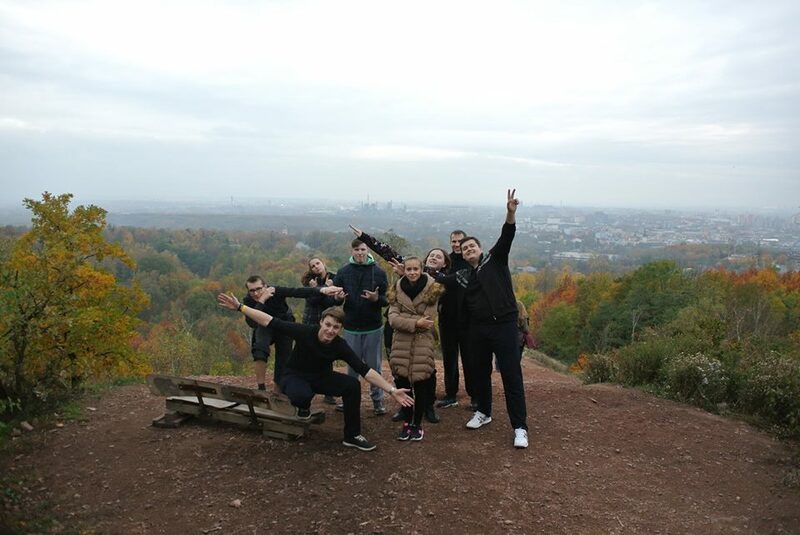 6 students of computer equipment adjusting and 2 students of organizing of sport club activities programs from Elektrenai Vocational Training Centre in Lithuania visited Ostrava during the month October/November 2016 under the Erasmus+ project entitled Spectrum of services with a reference number 2016-1-LT01-KA102-022795. The aim of their stay was to extend their practical, professional skills, to acquire first work experience and to get an impression of work and life in the different European country, as well as to educate and improve specific vocational competences and self-reliance of vocational training students and motivate their European citizenship. Project was implemented by ECVET principles. It was our pleasure to host such a nice, well-behaved, smart and easygoing group of students! We wish all the best to their future and hope to see them in Ostrava, again! A host student from Scientific Lyceum B. Rosetti, San Benedetto del Tronto was very excited to visit the Technical University of Ostrava, Faculty of Civil engineering, Department of Architecture. After the professional practice at the Architectural Atelier KOHL Architekti, s.r.o. the student discussed possibilities of study opportunities and programes, visited several ateliers, was intoroduced to the student´s final project exhibition, as well as series of lectures. Many Thanks to Mrs. Ing. arch. Eva Špačková, Ph. 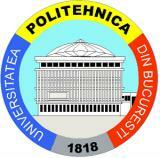 D. for a fantastic day and the possibility to visit VŠB- Technical University of Ostrava. We had a blast! Italian students attended voacational trainings of various proffesions, such as web-designers, programmers, architects, beauty therapists, chemists, librarians, art restorers, administrave assistants, and linguists. 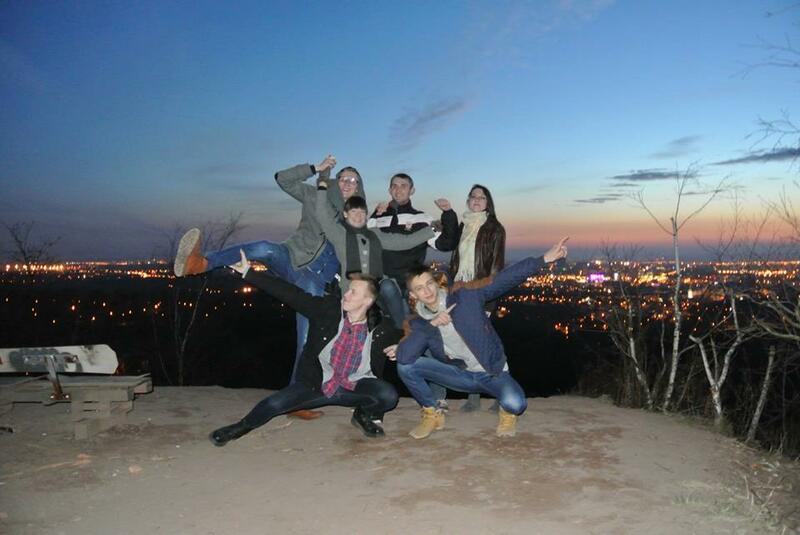 Students enjoyed their very first working experience all around Ostrava. 15 participants of 4S+ Smart Social Sustainable Skills Plus for VET Mobility Experience Project experienced different culture, cuisine, language, and the weather conditions, acquiered valuable working habbits and did a great job! The group of students was devided into two independent units during August, September, and October 2016. Besides gaining skills and getting expertised proffesionally, students were organised a profuse number of technical and specialized visits, as for instance University and Vocational school visits or company excursions. 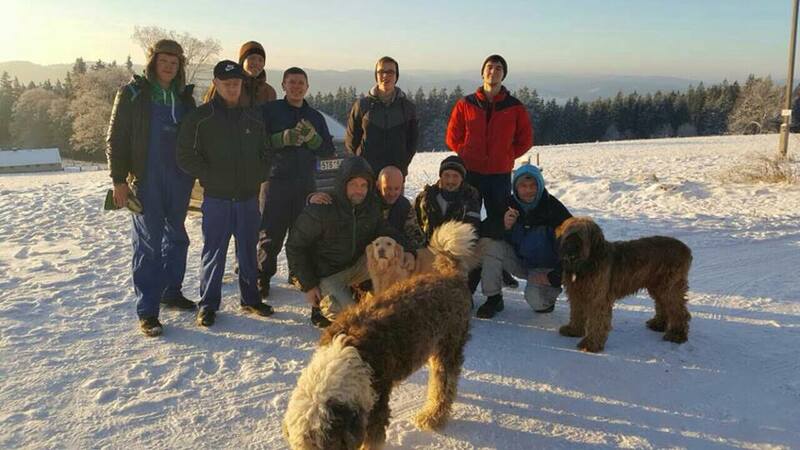 Students got as well familiarized with the beautiful nature of The Czech Republic, its capital, and were organised a large number of leisure time activities. It was a true pleasure to host such a hardworking and well behaved group of students! We wish them the very best and hope to see them any time soon! In the middle of April we were delighted to welcome 6 students from Poland who came to Ostrava to gain valuable experience in their field of study. These 6 students were devided into 2 groups of 4 and 2 students whereas they worked at 2 different car services. Excpet of their practice in workshops, they were trained in the manipuliting forklifts. 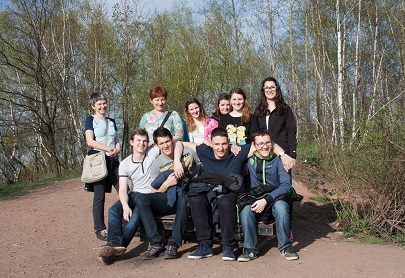 The group also enjoyed many free time activities such as playing lasergame, tour in Beskydy Mountains, visiting an open day in Dolní oblast Vítkovice and many others. Receiving very positive feedback towards their work from both car services was a great point for us, as well as for students and their teachers. Right after the turkish students departed, we were busy organising all the necessities for the next group of 12 ICT Students from Lithuania. We expected a hectic times over these days, however it was rather a smooth sailing. The responsible approach towards work and several given tasks won over fun and excitement. During the course under supervision of a skilled trainer students were guided to work with coding in HTML, CSS, Java Script, creating lovely logos and posters, updating an online language course, which they all summarized in their final presentations. We offered and organised also the social program out of which by far the most favourite one was playing lasergame. Students had also much fun visiting the Science and Technology museum where they spent some hours. Students were also very excited about participating on the table tennis tournament, climbing indoor wall and trying to keep balance whilst walking on the rope. We enjoyed the time spent with these hardworking students, who willingly dedicated their free time to work and their tasks. We wish these young people all the best in their future! After a very short break and a litle unexpectedly we were glad to welcome a large group of students interested in functions, uses, and purpose of hybrid systems. During the intership in Ostrava 24 students along with 2 teachers visited several power plants focused in use of hybrid energy systems . 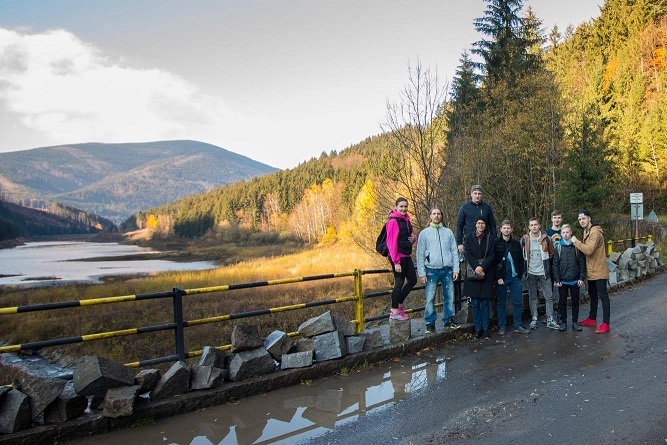 Students enjoyed the daytrip to Nydek in order to visit a building that is in the process of becoming a senior house in a beautiful nature surroundings. The company Revolt is in charge of installing the solar system and heat pumps here and was so kind to introduce these technologies to the group. Visiting the photovoltaic powerplant in Palačov was just as enhancing experience, since this sort of power plant was not something students have been familiarized with before. Besides visiting different sorts of power plants the group was also hosted in the Institut of Environmental Technology, Technical University of Ostrava where it was given a full presentation of its activities and shown new technologies. Technical University of Ostrava hosted 3 more events organised for students focused on the topic of hybrid technologies.Students were also given an egnlish language course where they had possibility to increase their knowledge in a foreign language. 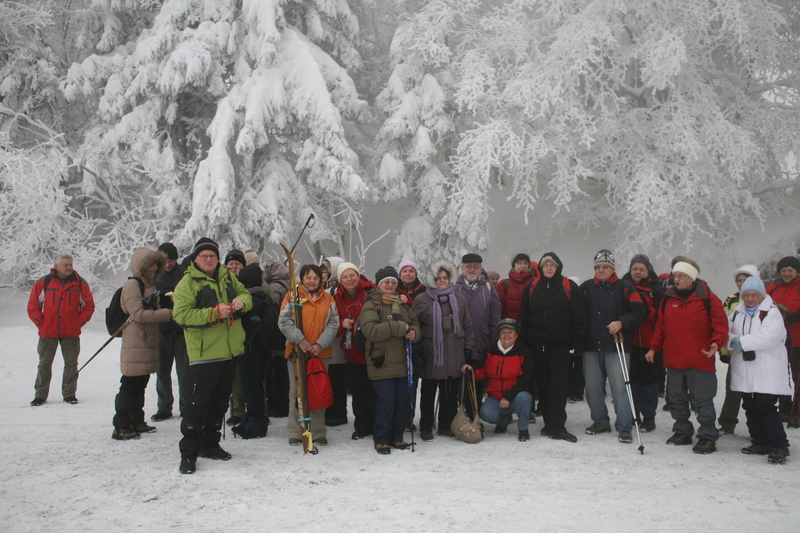 In order to keep balance between studying new technologies, foreign language, and leisure activities, the group had loads of possibilities to attend sport and relax events:such as footbal match, table tennis tournament, hiking in the mountains, swimming, laser game, visiting museums, ZOO and many more. Full of laughter, fun, many unofrgettable memories, and gaining first work experience, that is how the month of September was for us. We had the genuine pleasure to host 7 students came from Italy who for 3 weeks long intership having different backgrounds and expectations. This lovely group of students worked individually at different placements. There were students interested in wood desing, tourism, geology, pre-school education, photography editing, and administrative. Students were well behaved, hardworking, and determined to get as much experience as possible. Indeed, the hard work payed off! After shifts, students were invited to visit many attractive excursions. The ones that definitely count as unforgettable, was the visit of Car Race in Brno Circuit, visiting the NATO Exhibition, and many others. Students also enjoyed sport trainings along with accompany of a staff member, cooked, prepared and organised a lovely evening including 3-course dinner, where they invited the whole ALVIT team. We wish all the best to these active young people in their different paths of profession!!! The end of May was very busy for the whole ALVIT team. Another group of cheerful turkish students arrived and kept us busy all the way. These energetic boys have convinced us that even the pure Cambrigde English is useless, unless You are flexible, innovative and enjoy fitness. We spent first few days trying to figured out how to communicate among 4 different nations - since the Lithuanias and English students were present as well. After a few days we have got used to each other and were using mostly the phenomenal universal language. There were many comical situations coming up within every discussion. However, the intership was not only about overcoming the language barrier, first of all, it was about educating. Students of Teknik ve Endüstri Meslek Lisesi from Tokat, Turkey were of different divisions. 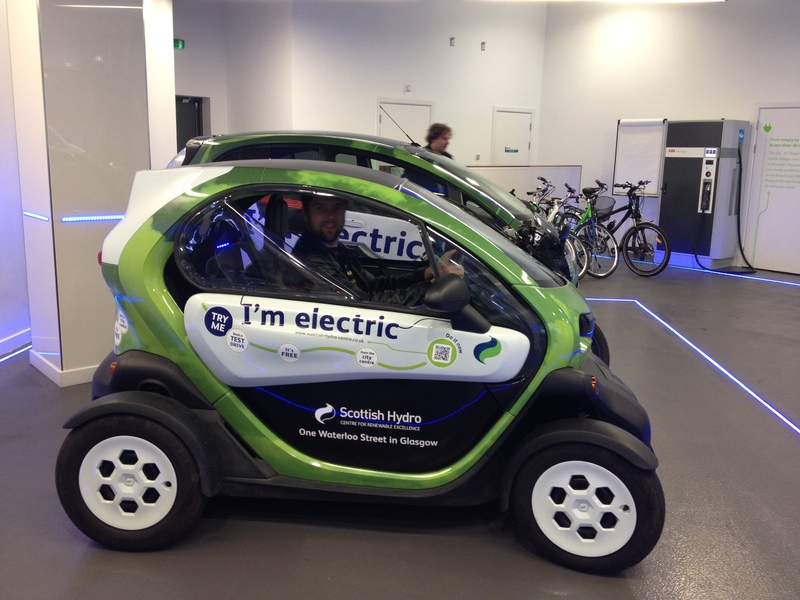 There were students of ICT, automechanics or electrotechnics and also several carpenters. 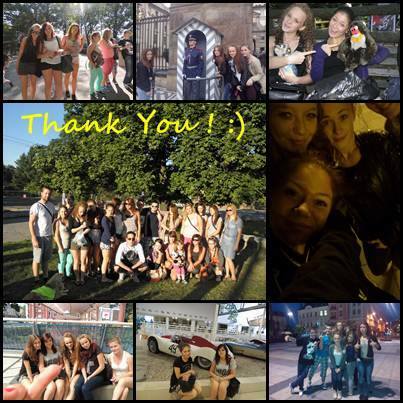 We believe students enjoyed their time in Ostrava and will remeber this time for many many years. Their own words:" Çok teşekkür ederim!!" only prove we are right. 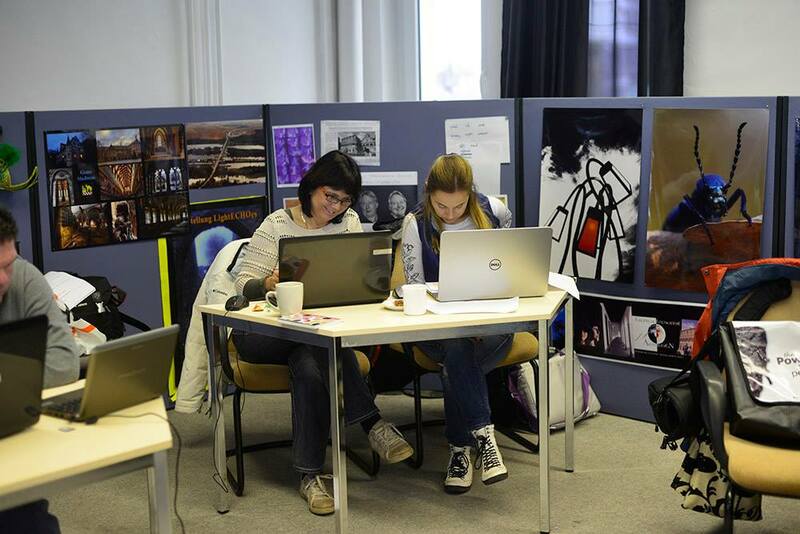 Students of ICT from Lithuania were led by skilled experts in programming and coding during their intership in Ostrava. 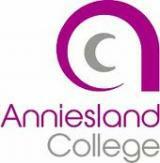 They were trained mostly in webpage coding whilst using HTML and CSS, using FTP repository and many others. Students were enjoying everyday of their 3weeks long intership either from behind their laptops as well as outside during the paintball game or running the race of RainbowRun. The lovely smiles from their faces did not disappear even after a very difficult trip to Lysá Hora. Today was the last day of a 3-week long intership for teachers along with their students from Turkye. During their stay they were expolring the elctric engineering by visiting several companies and vocational schools with such focus. 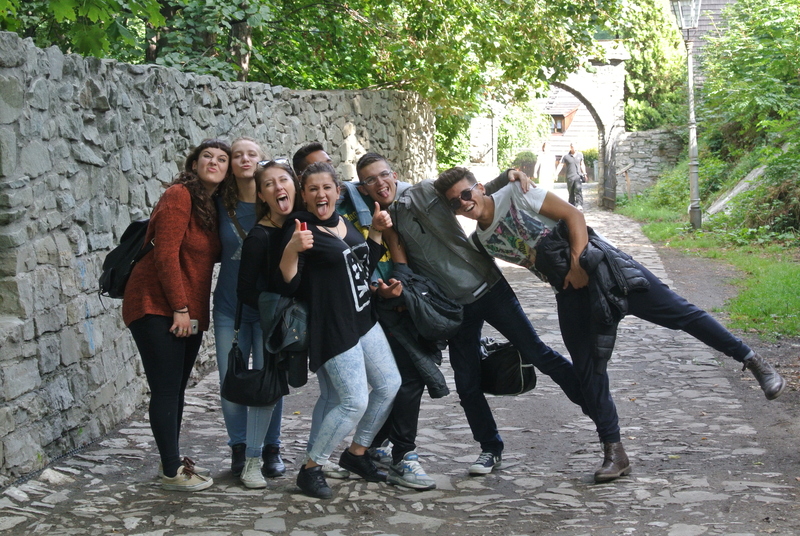 Their study-intership was enriched with the interactive way of learning by organizing trips and exkursions. 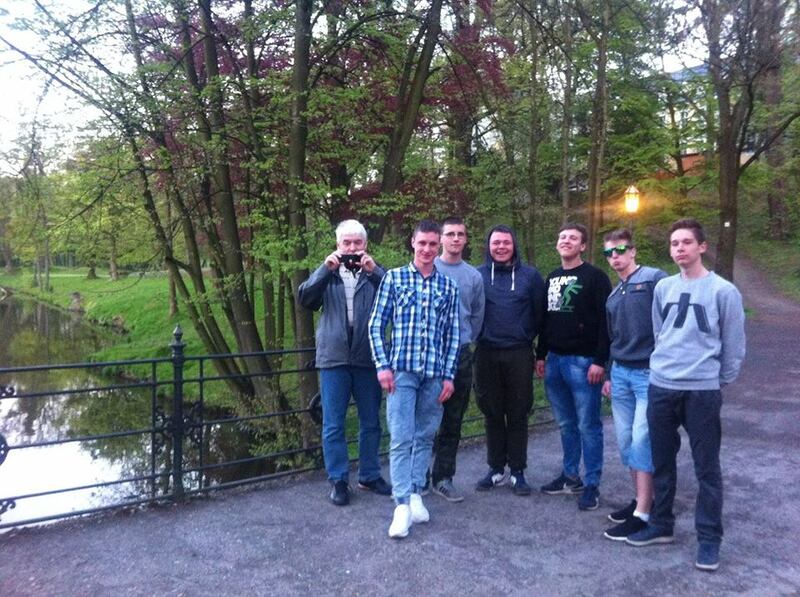 After the official program and study visits we all enjoyed trip to Krakow, Prague or to ZOO and acuapark. 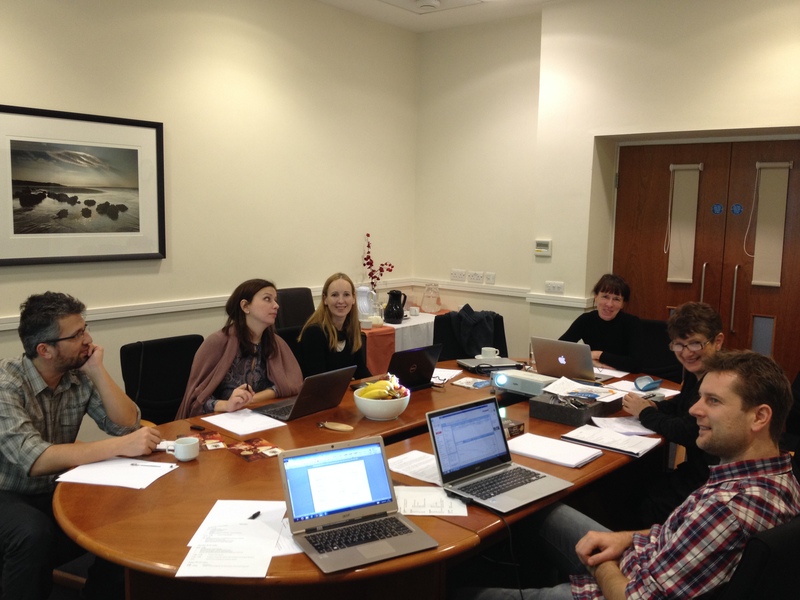 The Second meeting of the project Europa 50+ took place in Ostrava on 9th and 10th of March. The main aim of this project is motivating and educating people aged 50+, mainly in the feild of ICT, foreign languages and coaching. We visited VŠB- TUO, University offering courses for people aged 50+, where we discussed possibilities for taking ICT courses. We discussed also the possibilities when it comes to foreign language courses and agreed on the program, schedule and plan for the next meeting taking place in Palermo, Italy. Project partners are WISAMAR Bildungsgesellschaft from Germany, ZDZ Katowice from Poland and CESIE from Italy. Together 64 pre-school teachers will gain a new experience in teaching in foreign kindergartens. In this way we can briefly describe our new project Mobility for pre-school teachers. The aim of this project is to organize 8-times professional internship abroad, always for 8 teachers from kindergartens in the foreign host organization. Moreover, each internship will take place in one of 8 different Europe countries and will focus in one of eight teaching methods which this project covers. Also we will organize 8 workshops where project participants will share their experience from internships to other teachers. To disseminate information will help also the final conference and final publication where will be stated the experience of participants. ALVIT hosted 13 students and 2 teachers from Turkey city Tokat. 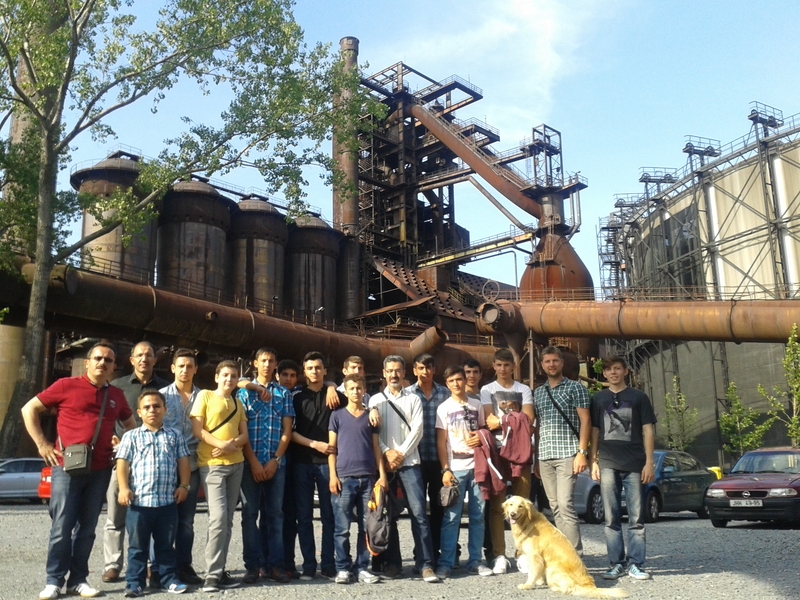 They visited Ostrava from 3th - 15th August 2014. 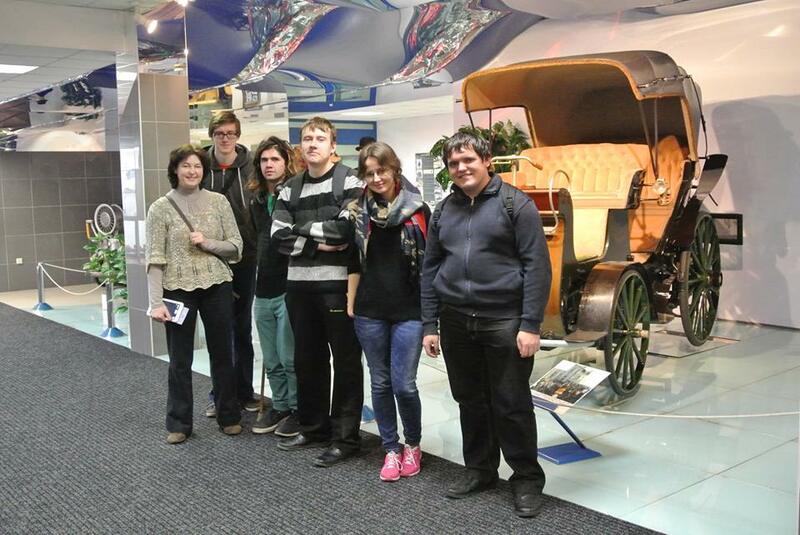 During their stay we visited interesting historical places (Tatra Museum, Štramberk, U6 museum, etc. ), Engineers companies in the Moravian-Silesian Region - Vitkovice steel; Ferrit ltd. and others. Students also tried to work in real companies under the guidance of mentors. We believe that students took many beautiful memories and experiences back to Turkey. 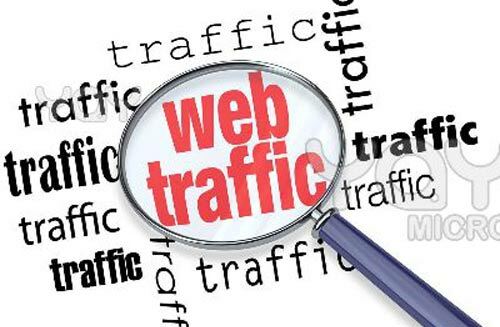 Our website did welcome a visitor number 100 000. We did a small research where is he from and we know it now! It is Baška near a Frýdek - Místek city. If this person will contact us and the IP address will be correct, he will get a reward 10 000 CZK voucher! Cheers. 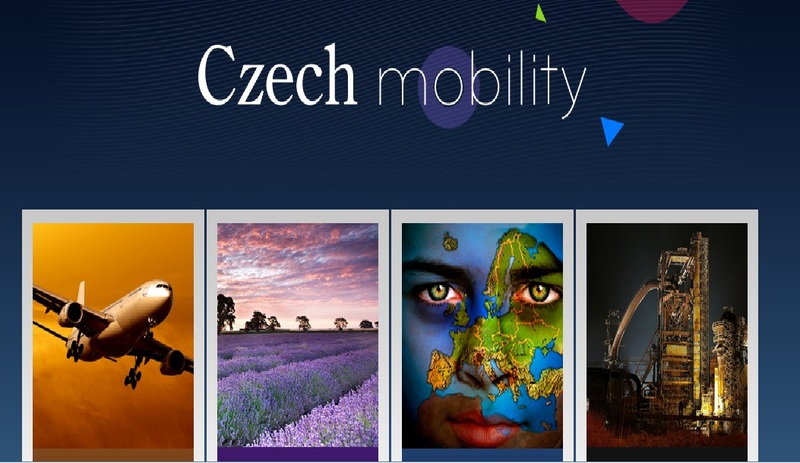 Nowadays the third Mobility project is being realized in Ostrava. Students from Bulgaria arrived to internship a week ago. They study E-commerce so they are creating their first web sites together with lecturers and they are improving their knowledge in this area. They have both work and cultural programme every day. It is great opportunity for them to meet new country, culture and traditions. 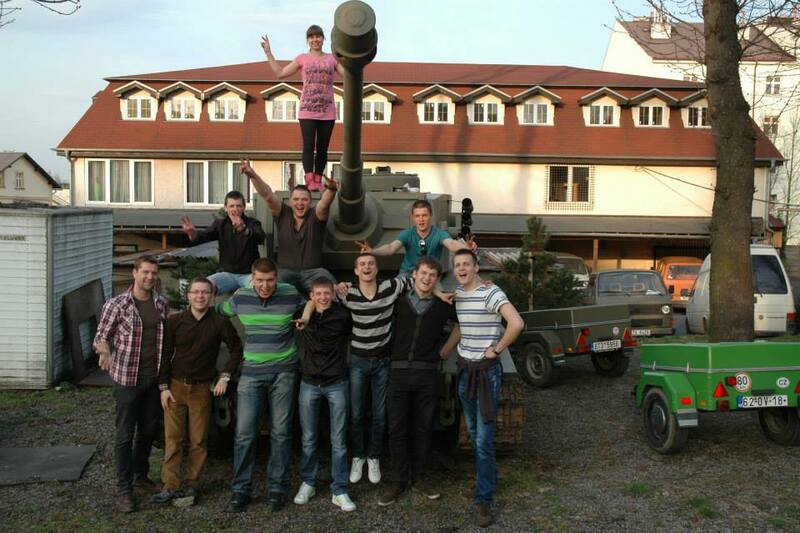 11 Lithuanian students – auto mechanics have been working in Ostrava since the second week of April. These boys are working in car workshops, they are disassembling and repairing the cars. Their work internship is in accordance with ECVET. We are happy to care also about their rich cultural programme. They visited Ostrava Town Hall Tower, ZOO, the Technical Museum U6, the Brewery, the Beskydy Mounatins,the Tatra company and many others. The project takes a total of four weeks, students exchange in the middle of stay. 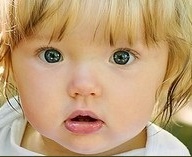 Please, visit our photo album at Lithuanians photo gallery for more information. ALVIT became a member of another European educational network. 14. of January 2014 we have signed the memorandum of understanding. 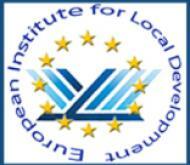 The European Institute for Local Development holds the role of the secretariat of the European Network for Local Development. Every Network Member has the opportunity to participate in the projects and initiatives of the European Network for Local Development. The aim of our Networking activities is the exchange of knowledge and expertise and the joint participation in European and National projects and Initiatives. Curretly we are very intensively working on a new European Union project ERASMUS+, which combines all the EU's current schemes for education, training, youth and sport, including the Lifelong Learning Programme (Erasmus, Leonardo da Vinci, Comenius, Grundtvig), Youth in Action and five international cooperation programmes (Erasmus Mundus, Tempus, Alfa, Edulink and the programme for cooperation with industrialised countries). 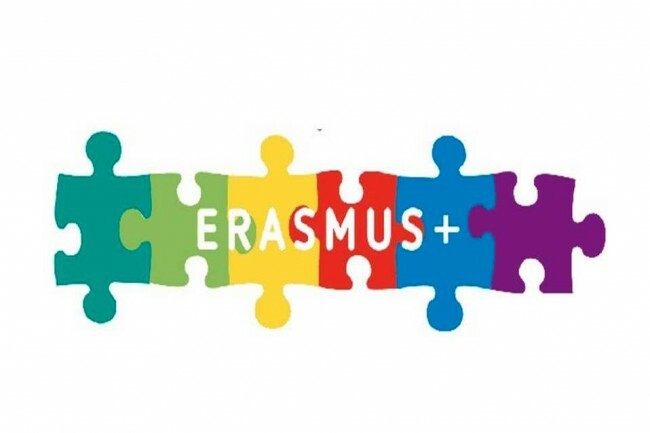 19 November, the program was approved by the European Parliament, during the month of December should be approved by the Council (Member States) and the ERASMUS+ program itself will be launched in January 2014. At the same time, the quality and relevance of Europe's education, training and youth systems will be increased through support for the professional development of education staff and youth workers and through cooperation between the worlds of education and work. Student and apprentice mobility also boosts workers' mobility between member states; people who have already studied or trained in another country are more likely to want to work abroad in future. The budget of this program for the period 2014-2020 is 14.7 billion € and overall participating in the project is 4 million people. At the end of November was realized the first meeting for the Grundtvig multilateral project called CITCOM (Citizenry and Community). This project has as a main objective to create and support communities in different countries. The Europaen Credit System for Vocational Education and Training (ECVET) is a key to open up new opportunities for students in mobility programs with the aim to improve their emloyability. We are together with our partners from Scotland, Croatia, Poland and Germany preparing a memorandum of recognition of learning outcomes during international mobility. Conecting point is Ecology and it is being developer with the help of ECOLAV project. For more information please visit our pages. Clic on the ECOLAV banner on the left side. 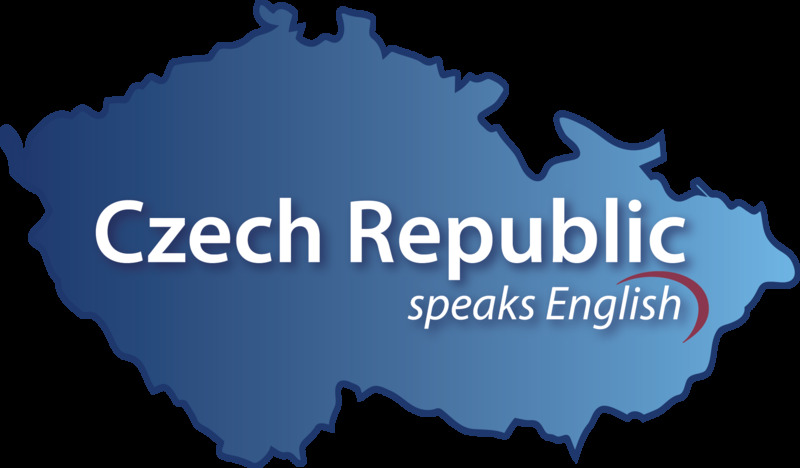 ALVIT is authorized institution and a testing place in the project CZECH REPUBLIC SPEAKS ENGLISH. 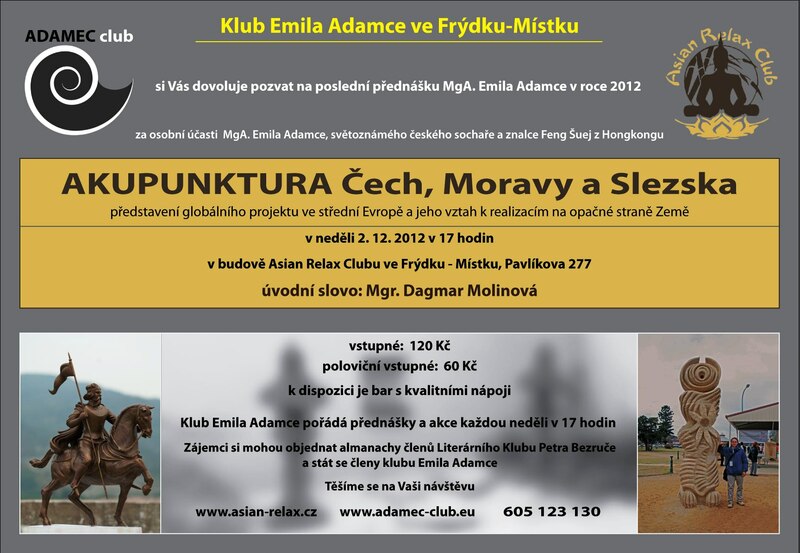 This project is supported by a Ministery of Education, AJŠA, ACERT and National Europass centrum in the Czech Republic. In September 2013 the organization ALVIT - innovation and education Ltd. was the receiving organization for 20 beneficiaries from Zespól Szkól Nr 2 im. ks. prof. J. Tischnera within the project „Staže i praktyki zagraniczne dla osób ksztalcacych sie i szkolacych zawodowo“ entitled “Hotel – Lacznik kultur”, with the project number: ESF01-2012-1-PL1-LEO01-27859. 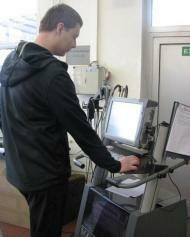 Students experienced real working life. All participants were motivated and engaged so that the placement company and also we appreciated their performance. It was a pleasure hosting so friendly and nice people and we are happy, that we can be a part of so important moment in their lifes. 20 students from Moravian-silesian region managed not easy taks to spend 2 weeks in a foreighn country and their task was to work in different companies according their specialization. For more information, please visit our galery on Facebook. In our educational and relaxation centre ASIAN RELAX CLUB, we started Thai language courses with native speakers in a very authentic environment, which is inspirative also for your studying. In April 2013 the organization ALVIT-innovation and education Ltd. was the receiving organization for 18 beneficiaries from Alytus Vocational Training Centre within the Leonardo da Vinci project entitled “Mobility traineeship – improvement of professional competences” . 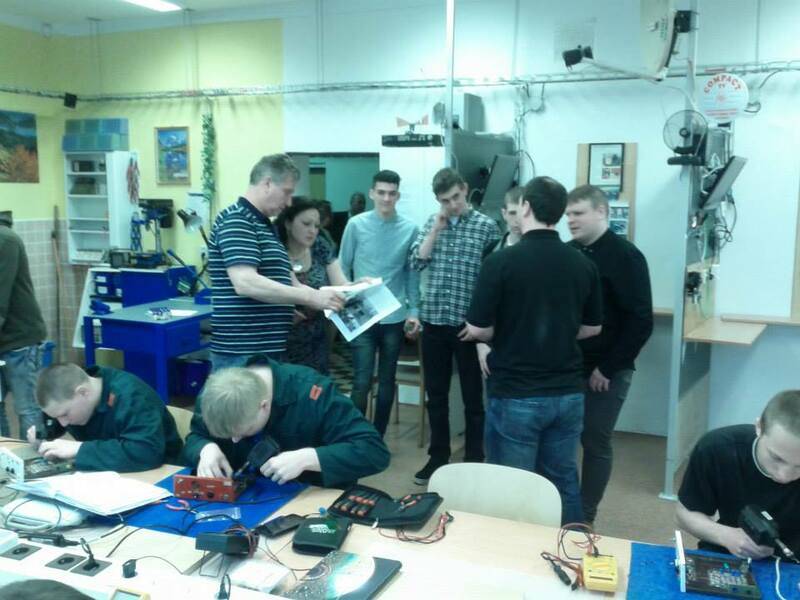 The students from Lithuania were trained in the field of electrical engineering as well as mechanical engineering and attended a two-week placement in these sectors in Ostrava city. Objectives were to extend their practical, professional skills, to acquire first work experiences and to get an impression about work and life in another European country. The students were given a guided tour through Ostrava and thus they learned about the main sights of the city, its history and current developments and gained some insights into Czech traditions and culture. The training program was developed according the profession, experience and specialization of teachers. They worked in different workshops of famous car producers as Audi, Volkswagen, Škoda and Seat. They had an opportunity to work in different teams and experience different working and team systems. They had a chance to experience these activities: braking system, Prevents wheel locking during full braking, ESP – electronic stability control, Electronic differential shutter, ASR – anti-slip regulation, Automatically regulates the extent of the slip on one or more driving wheels during start-up or acceleration, Key-free unlocking, Automatic unlocking and locking of the doors without having to take the key out of the pocket. Škoda vehicles are also equipped with key-free engine start-up using the start/stop button, Bi-xenon headlights, Central locking, Rain sensor, Electrically heated windshield, Tyre pressure control, Informs the driver of the pressure loss in the tyres, Swivelling headlamps, Cruise control, Parking sensors and many others. 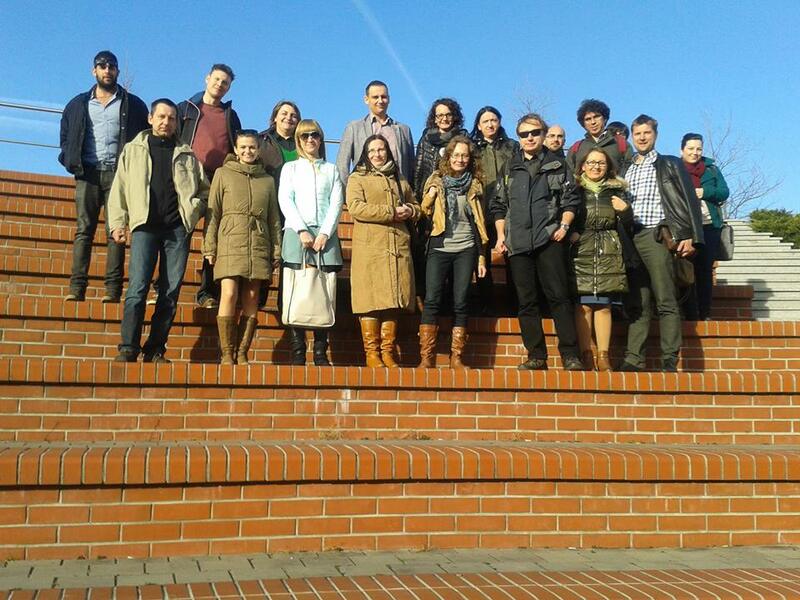 1st Transnational Meeting of the ECOLAV Partnership was organized from 6th to 7th December 2012 in Ostrava, Czech Republic. Partner organisations presented areas of interest around the development of environmental competences (current and future) and paths for integration of competences based on local and national needs aimed at various VET systems. ALVIT company organized international senior picture exhibition in Havířov. 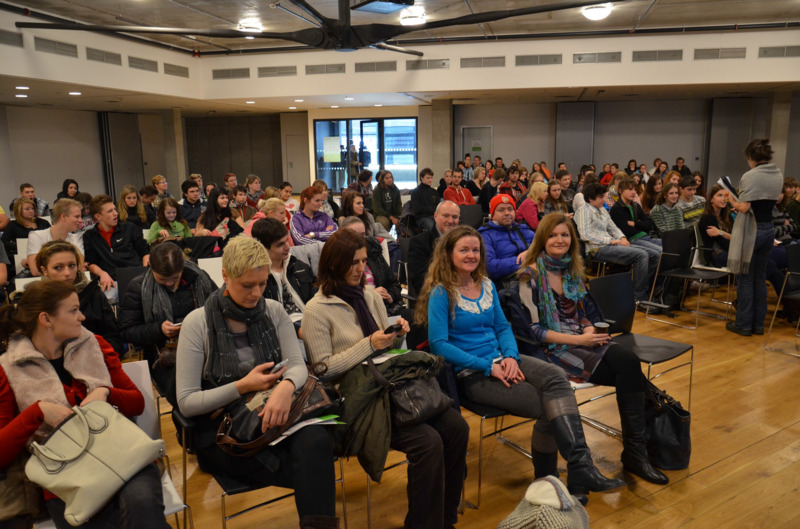 This action was undertaken with the support of EU Grundtvig partnership project. The purpose of the exhibition was to activate seniors all around Europe and support them in active life. Part of the exhibition is an international completion. The presentation of the project activities you can download down here. are preparing for practical training in Germany Leipzig. Emil Adamec workshop - never ending inspiration of this academic sculpture. 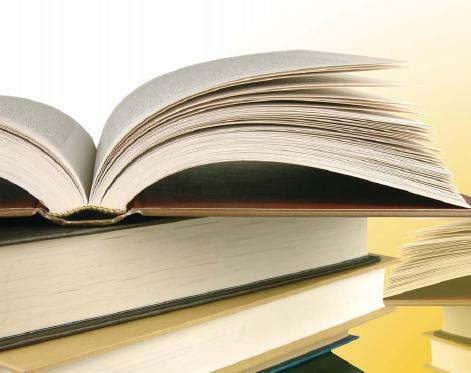 ALVIT - innovation and education became the official publisher of educational literature registered in the national publishers directory of the National Library of the Czech Republic. Another Mobility project started 4 weeks ago. 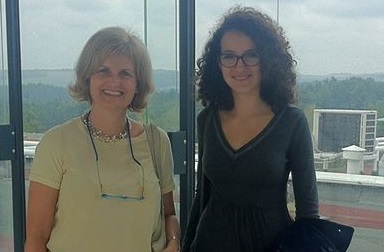 Two graduates from Italian city Rimini were on 3 months long intership in Czech companies. Enrico worked in an international company called Tebodin which deals with projects and engineering and consulting activities in civil engineering. Alexandra worked on different projects and events for two NGOs. 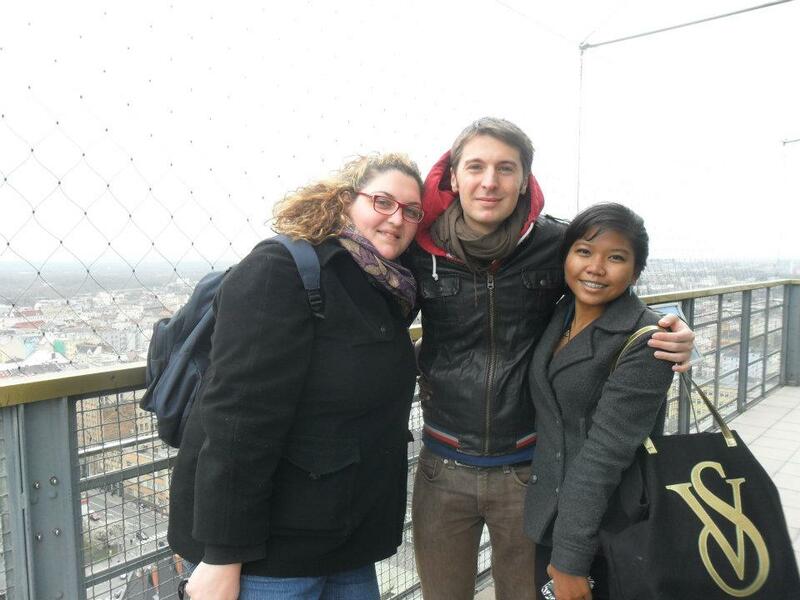 Both of them spent their free time mostly in a community of international (Erasmus) students. 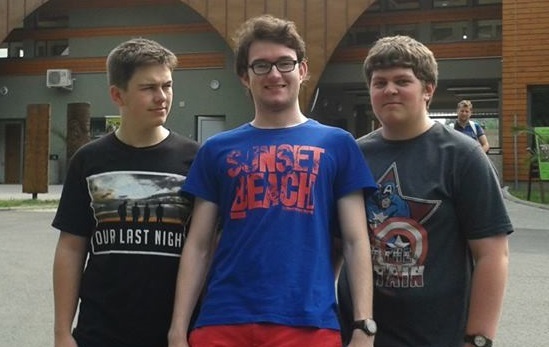 "Ostrava is such a beautiful city with amazing people and we are happy about our internship. Thanks for all!" Alexandra and Enriko. 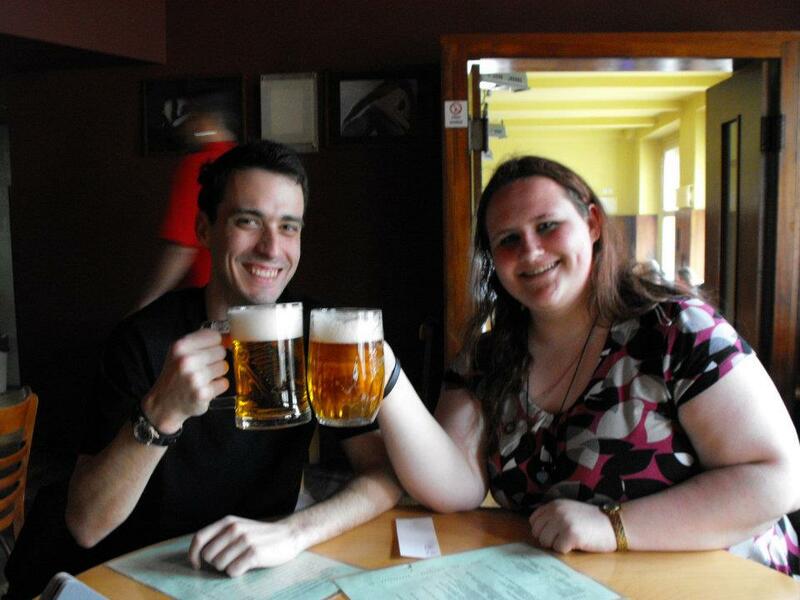 In April 2012, two UK students came to Ostrava for an international internship in Czech companies. This internship was organized by ALVIT-innovation and education Ltd. within the european program - Leonardo da Vinci project entitled "International practice - greater career opportunities". Two IT students with a focus on design/games development and graphics, Kathrin and Steven, from Lancaster and Morecambe College – UK, came to Ostrava for a 3 weeks long international practice. During their internship they took part in IT projects in two diferent organizations. The internship was not just and only about work, but it was also about social life, traveling, and new experiences. Thanks for making it the best experience we have had. Kat and Steven :)"
A training about multiculturalism in English with Rika Matsumoto took place during the days of the 16th and 17th of March 2012. It was free of charge for active trainers from Moravian-Silesian region. Educational event for all sole traders and small enterprises in Moravian–Silesian Region. Soufflearning: Effective training for small companies in the workplace The participation of SMEs in advanced training and qualification is below average. One of the reasons is that a SME usually can’t afford to send the few staff they have to external seminars. On the other side training institutes usually offer trainings which are literally a bit far away from the real everyday business. Therefore a training concept for SMEs besides considering company’s requests has to be tailored to the necessities of the staff that needs to be trained. By Soufflearning the trainers or coaches will come into the company or organisation and they will partner them in developing a custom tailored training concept. Based on some experiences in Germany this transfer project is going to initiate cooperative networks of vocational training institutes, trainers and SMEs. By means of workshops, conferences and this website (with forum provided best practice, funding possibilities and guidelines for the implementation of the SME oriented training concept will be introduced and imparted to relevant stakeholders. The methods of Soufflearning were developed and tested in a regional project in North Rhine-Westphalia (2005-2007) and will be transferred now to partner organisations in France, the Czech Republic, Italy and in the Upper Lusatia region in Germany. The SMEs participating in pilot trainings shall improve their cost effectiveness and operating results by updating and enhancing staff proficiency. Staff’s disposition to engage in further training and to continue VET shall be increased and the involved processual trainers will attain additional professional and social competences. The experiences made will be presented to relevant stakeholders with the aim to continue with trainings in SMEs with additional training institutes after the end of the project. Thus also collaborative sub-networks on a national level between SMEs, VET institutes and trainers will be established to disseminate the Soufflearning training concept. Target groups and users of Soufflearning for further education in SMEs will be the providers of qualification and training, professional associations, businesses and employees and other stakeholders in the vocational training. Selected training institutions and stakeholders in professional education in the participating countries will become acquainted with Soufflearning and how to implement it in their daily training and education practice. The Soufflearning concept is designed more as a “pull” system than a “push” system. It is based on voluntary participation of education providers, companies and stakeholders, which need to be persuaded of its relevance and benefits. The validation of the project and the Soufflearning concept will be guaranteed by Alvit. Alvit will supervise the design and control of the concept and promote the adaptation into national systems. The implementation at the national level is the task of each of the national partner organisations. The BEST Project (“Best Enterprise System for Training“) is funded under the Lifelong Learning Programme of the European Commission. The aim is to transfer a best practice called the 'Gdansk Model', found operating successfully at Państwowe Szkoły Budownictwa, a vocational school located in Gdansk, Poland. The BEST Project transfers the innovative Gdansk-Model to vocational schools in Estonia, Czech Republic, Italy and Spain, but our consortium also involves partnering institutions from Finland, Poland and Germany. The model is adapted to partner country systems thereby becoming the BEST Model that exemplifies a successful pattern for partnership between VET institutions and enterprises. This model gives a clear demonstration on how to cultivate, develop, and maintain a strong working partnership with enterprises for the purpose of equipping students with skills relevant to the changing market.